Agile Scrum Standup meetings seem like a pretty straightforward concept; after all, they should be no more than 15 minutes long. When run correctly, Agile Scrums can be an easy way to check progress, track productivity, and foster essential team communication. As we all know, however, it can be just as easy to run an inefficient meeting resulting in wasted time and costs. The goal of Agile Scrum Standup meetings should center around the two T’s: Topic and Time. The goal of scrum meetings is for each team member to answer what he or she accomplished yesterday, what he or she will accomplish today, and if there are any issues. These statements should be answered in a timely manner. When planning scrum meetings, consistency is key. A scrum meeting is a daily checkpoint on progress and issues –make sure to keep it daily. When you miss a day or have inconsistent meeting times, inefficiencies and a lack of motivation will inevitably arise. Missed meetings can cause issues to pile up, causing a 15-minute meeting to quickly balloon into a 50-minute meeting. To reiterate, every meeting should be no more than 15-minutes. Each person should answer the three questions stated previously without being prompted. To organize time, one team member can call another after his or her turn to go next to make the process more efficient. If meetings tend to run longer, a timer can be put in place. Retain the team’s attention by requiring everyone to stand up during the meeting. This will help regulate time, foster active listening, encourage commitment, and even burn calories! One tip to avoid people sitting is to have the meeting in an area of the office with no chairs, so team members aren’t tempted to take a load off. Today, it is very easy to be led astray by phones and laptops. One second you could be listening to another team member’s accomplishments and the next you could be scrolling emails with no idea what the scrum meeting was about. A “no distraction” rule will help keep team members actively listening and focused. 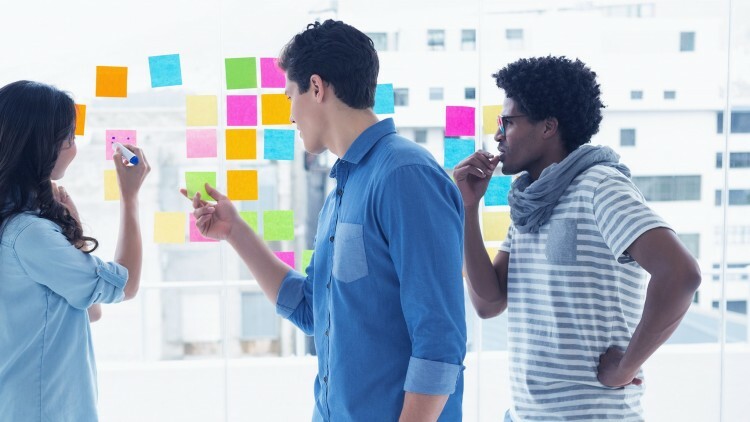 Another technique by which you can keep the conversation centered is to have a task board or kanban board displaying each story and its workflow. This provides a visual for all team members showing completed tasks, ones that are in progress, and stories that still need to be completed to achieve sprint goals. This technique helps team members understand what others are working, and keeps members from digressing to other topics. Daily meetings can often feel exceedingly redundant and mundane. 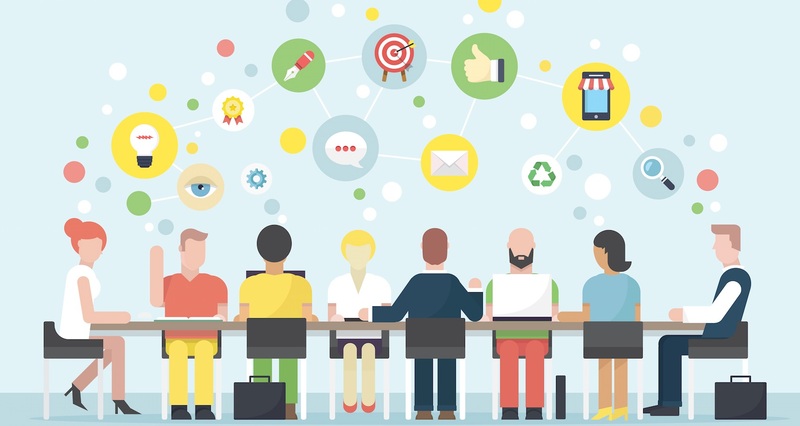 Keep your members engaged by having something exciting to start the meeting. A quick 1-minute activity such as 5 jumping jacks or occasionally providing snacks will keep members motivated and encourage team bonding.